The H1Z1 Auto Royale Mode for PS4 is coming. At the launch of Daybreak's Battle Royale game, players are currently restricted to three match types: Solo, Duos and Squads. 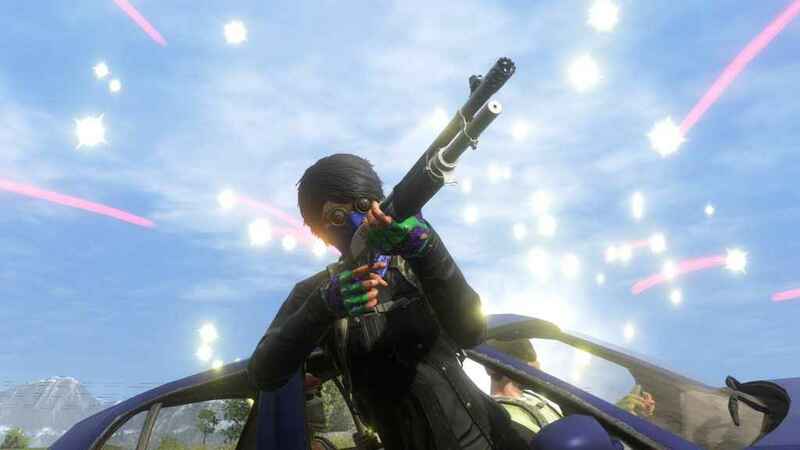 However, in an exclusive interview with Daybreak's Director of Brand and IP, he confirmed that the popular Auto Royale mode will be coming in a future update. ”We'll get that eventually, that's still in beta on PC, so we're just concentrating on making Battle Royale for PS4 for now”. H1Z1 Auto Royale has proven to be popular with PC players. It's a vehicle-only mode in with 30 teams of four player use vehicles to fight across the map to be the last team to survive. The map features new power-ups, alongside health and fuel drops, and the shape of the battlefield is changed with the likes of ramps and boosts. At launch the player count for H1Z1 PS4 was impressive. 200,000 players tried out the new free-to-play Battle Royale game, which caused some issues with players getting stuck on the loading screen as the servers wavered under pressure. There's currently no release date for Auto Royale on PS4, but we'd expect it will also launch at the end of the H1Z1 beta, later this year.